Signing up with for a business phone service is a big deal. No matter the size and age of your business, change can be scary. But it can also be good. 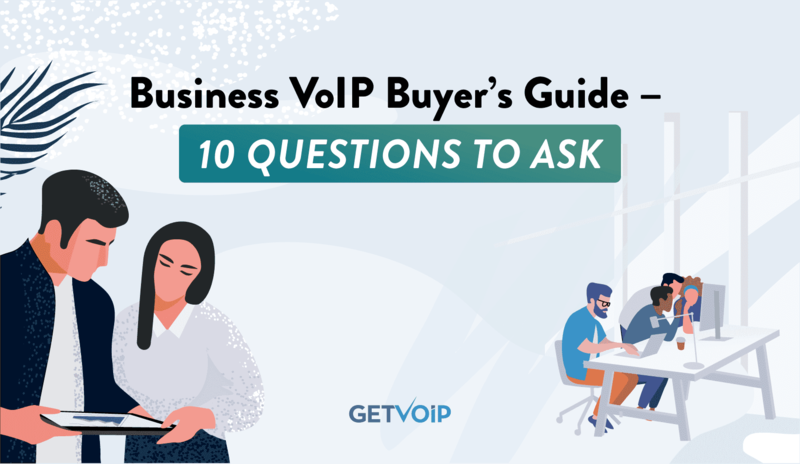 VoIP business services tend to have a larger setup cost, and much lower ongoing costs than their circuit-switched counterparts. Every VoIP provider has a different list of feature sets and prices. Here is a list of ten questions you can ask a potential provider. Be honest with them, and be honest with yourself. Be sure you have the best information before making such a big decision. Setup fees. Activation fees. Equipment costs. Porting fees. Will the equipment be bought or leased? You’ll need to know how many lines you need, how many people will be using how many phones, and how comfortable you are setting up new equipment. IP phones are expensive, and it’s possible that you’ll need a new phone at every desk. Although many Voice over IP providers waive setup, activation, and phone number fees, not every one does. Different companies offer different levels of hand-holding, at different price points. It may be less expensive to buy a phone at a retailer, but can you get it working by yourself? You may need a representative to explain, for example, the difference between a line and an extension. The better you understand what it is you are buying, the more confident you’ll be. For whatever reason, your provider and your business just aren’t the right fit. It happens. So what do you do then? Know ahead of time the procedures for going back to your old system, or changing to a different VoIP provider. How much will it cost to return equipment, and will it cost you for shipping? Most—but not all—VoIP business providers offer a 30-day free trial or a 30-day money back guarantee. Do you understand the difference? If you ported your number, or ordered a vanity number, do you still own those numbers? Is there a long term contract? A commitment on price can benefit you by locking in a lower price, so don’t dismiss contracts out of hand. Knowing the best and worst case scenarios will help you make a better decision. Even the least expensive calling plans still have taxes and E911 fees. Even free services like Skype and Google Voice require your computer to be on. There’s no such thing as completely free. But that’s alright. Any enterprise involves costs. You may be surprised to see your monthly bill go up, not down, but see an increase in productivity and profitability. You may even see an unexpected change on your electricity bill. Some providers have unlimited minutes, others do not. What will it mean to your business if you change your IT support? These costs are not hidden, but you may not know them ahead of time. 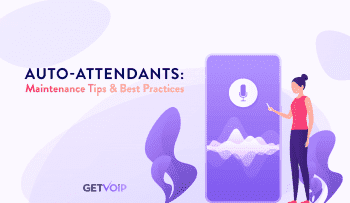 Read reviews of VoIP providers to get a better idea of what changing your phone service provider will mean to your day-to-day expenses. You can lease or buy an ATA gateway to use your old phones, or spend the money to replace them. Which is the best solution for you? Research the cost, both directly, and in productivity, of keeping or changing your phones. You don’t necessarily have to replace all your phones at once. The two biggest platforms for mobile phones are the iPhone OS from Apple, and the Android OS from Google. There is also the older Blackberry OS, and platforms that are still in development, such as the Facebook Phone and Windows Mobile 8. 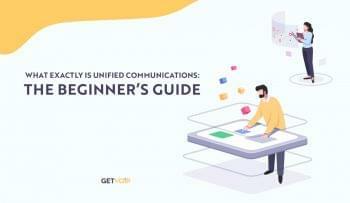 Find out what platforms a VoIP provider supports before deciding which one to go with. Under some circumstances, it may be turn out to be better to change both your company phone and your service provider, but that decisions ultimately rests with you. Older fax machines don’t always work well with VoIP. Do you have or even need a fax machine? Will your fax number be a dedicated line, or will you program it on the fly with your GUI? Do you want a vanity fax number? Find out your fax machine options. Your fax machine may work with minimal adjustments, or it may not be compatible at all. You may opt to get a T.38 gateway, upgrade to an internet-aware fax, or subscribe to a virtual fax number. Know how much each option will cost you in both the short term and the long run. Can you “Bring Your Own Device?” Know what devices your provider’s mobile app works on, such as a tablet or PC. Will it work over Wi-Fi? Will it work on 4G networks? Find out how you would be able to connect to the office in, say, your local public library, your favorite coffee place, and a hotel room. It might be a good idea to give your employees an iPad for their holiday bonus. Because VoIP is a new and evolving service, be ready to approach your phone service from completely new angles. Tech support is one of those services where customers inexplicably want it all. They want 24/7 customer service, they want little or no hold time, and they want to not have to deal with the hassle of a phone tree. And they want it based in the United States. And they never want to need it. And they don’t want to pay extra for it. 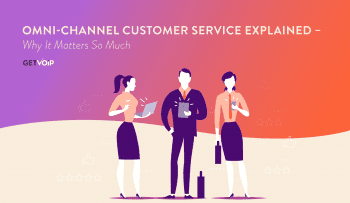 Every company has their own way of offering technical support, from as hands-off as emails and forum posts, to as much as 24/7 availability with remote support. Some use call centers from every corner of the earth, some have one call center in Southern California. Decide what is important to you when it comes to tech support before problems arise. The FCC has changed its porting rules to shorten the period of “simple” ports to as little as one business day. But, that doesn’t necessarily mean you’ll get it that soon. There will be a period when two phones have the same number. Find out if you can use the old number while you wait. Also, make sure you are clear on the rules regarding number porting. You must keep your old service until the porting process is complete. Verify that both your local and long distance service are being carried by your VoIP service provider, as they follow different regulations. Did you know that your old service provider must let you port your number even if you owe them money? This is where you’re going to have to do some independent research. Compare service by reading VoIP users’ reviews. Read into your potential provider’s old twitter feed, and see how often they report technical difficulties. Read GetVoip.com’s blog on recent service outages and other happenings within VoIP providers . Ask about redundancy, which means that even if one server goes down, the other server(s) can handle the web traffic. The more spread out the better. Often, VoIP services stay active when a natural disaster rocks legacy phone systems. Once again, this is hardly a complete list. The more you know before you commit, the more confident you’ll be in your decision. Once you’re set up and ready to go, you’ll see your productivity go up, and your costs go down. Make sure you get the right fit for your company. Don’t trust your phone system with just any company. Compare top business VoIP provider companies, services and rates before buying.